Champagne Louis Roederer is delighted to announce its appointment as Official Champagne Partner to Cowdray Park Polo Club – a position that the House will hold for the next three years. Champagne Louis Roederer will sit beside new head-line sponsors Jaeger-LeCoultre, who has been Official Timekeeper to Cowdray Park Polo Club since 2006. In addition, EFG International, long term sponsors within the polo world, becomes Official Banking Partner to Cowdray Park Polo Club. 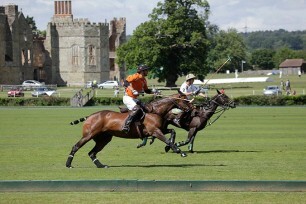 The new season at Cowdray Park Polo Club opens on 25th April. For more information, please click here.